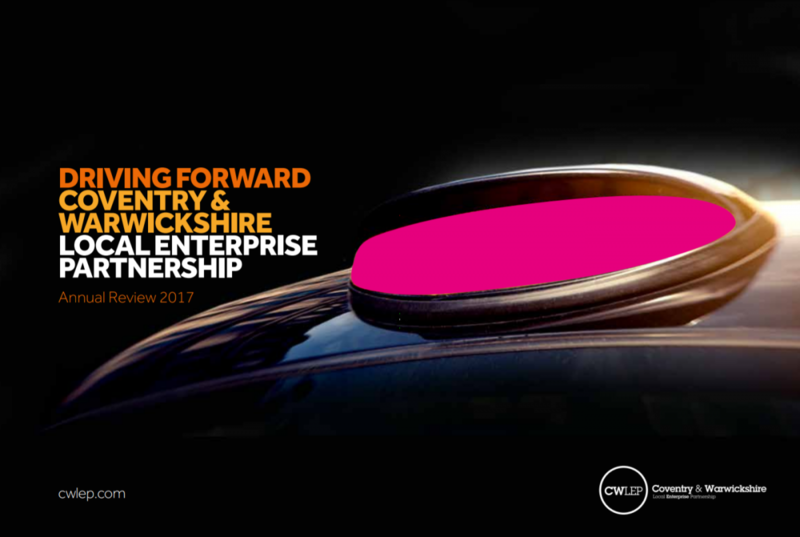 The Coventry & Warwickshire Local Enterprise Partnership (CWLEP) is an alliance of private and public sector organisations working towards a common, shared purpose: to grow the local economy, attract new jobs and investment, and increase prosperity. Legally incorporated in 2011, CWLEP has become a powerful platform for achieving its ambitions. With strong links to the business community and considerable public sector insight and influence, we’re perfectly positioned to bring key influencers together to forge productive relationships and make things happen. In fact, the CWLEP and its regional advocacy partner, CW Champions, have secured more than £360m in public and private sector funding for the local area to date. This funding has allowed us to drive forward key projects in priority areas such as transport, small business support and skills training, and work closely with the region’s biggest employers to encourage further investment and expansion within Coventry and Warwickshire. It’s thanks to our partners that we’re able to continue this vital work - from local authorities and district councils, to universities and further education providers, and business groups tasked with improving business conditions in areas ranging from transport to funding. And though our focus lies firmly within the Coventry and Warwickshire region, our ambitions are informed by, and interlinked with, those of the Midlands Engine and West Midlands Combined Authority, ensuring that everything we do feeds into wider initiatives designed to propel this area from strength to strength.